Pool Service By Nationwide Pool! Are you interested in bringing new life to your pool or building your dream pool entirely from scratch? Welcome to Nationwide Pool. 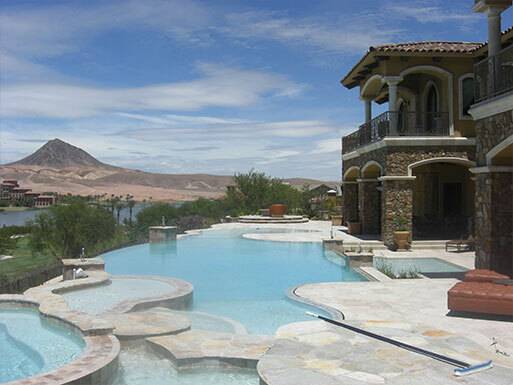 We’re a local, Las Vegas company and ready to make the perfect pool for you. Or, help you fall in love with your old pool after it has seen better days. With stunning, bespoke designs, ideas for remodels and a range of other pool services you need, we can’t wait to get started on your project. A New Pool Just For You! Have you always loved the idea of building a beautiful pool on your property? Well now is the time to make that dream come true. With our help, you can have the perfect pool that matches all your desires and specifications. With our new pool build service, you’ll be able to choose the aesthetic, shape, size and depth of a pool in your garden. Worried about cost? No problem - we can build to match a variety of different budgets and keep our solutions completely price competitive. We want to make sure that everyone gets the chance to create their ideal home pool. Whether building or remodeling your pool, we provide the opportunity to choose exactly how you want it to look. We only use the best materials for pool builds, remodels, and refurbishments so we can guarantee it will look absolutely fantastic. Perhaps you want to add some texture with a pebble finish? Or, maybe you want to make your pool look more vibrant with colored quartz? No matter what you need, we have you covered here with any pool service and always aim to build exactly what you want. You may already have a pool in your home, but perhaps it’s seen better days? Are the tiles starting to crack and fade? Is your pool constantly dirty and has it fallen into a state of disrepair? If so, contact us about our pool maintenance and pool cleaning services today. We’ll make sure that your pool looks beautiful once more, completing repairs and regularly brightening up your pool area. We can even complete more heavy duty jobs such as deck refurbishing. Whatever you need, we have you covered. We’ve been on the market since 1981 and have worked hard since then to build up a solid reputation. With a focus on customer service and care, we make sure to offer a personalized solution that provides clients with exactly what they need every time. 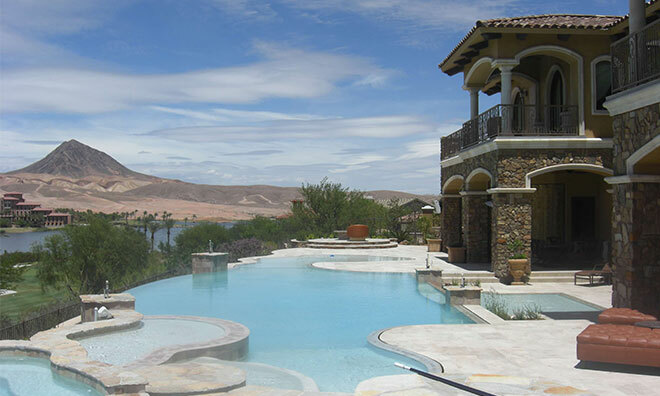 We’ll even work to complete special requests related to pool maintenance, remodels, and design. Getting started with a new pool can be a daunting task. We aim to make it easy, affordable and provide a quality solution that homeowners around Las Vegas can trust. If you’re interested in building a new pool in your home or you require any of our other pool services, get in touch today. We’ll be glad to assist you with all your needs and inquiries. Jon and his crew built our dream pool. His estimate is exactly what our pool cost and his timeline was even better. The pool was finished earlier than expected without any hiccups. We have referred Jon to several friends who also ended up using his company not only for new builds but remodels as well. 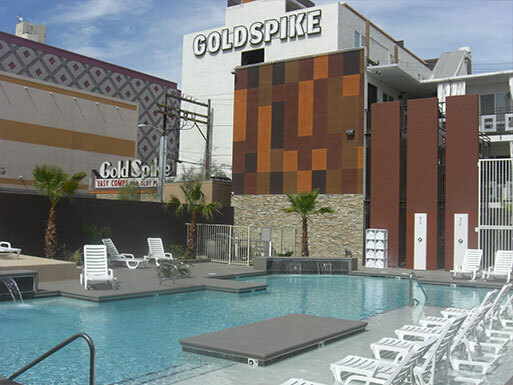 Best pool company in Vegas!!!!!!!!!!! Copyright © 2019 Nationwide Pool All Rights reserved. Powered by Vertex Visibility.